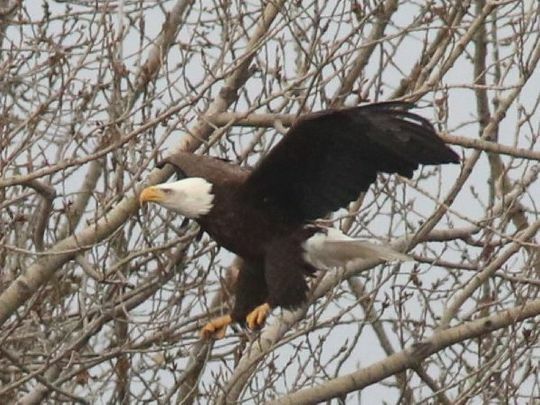 New Jersey Bald Eagle Project Volunteers Jeffrey and Cathy White have been monitoring the Pilesgrove eagle nest since the pair’s first nesting season in 2009. The pair has successfully raised and fledged 9 young for the past six years. This season the pair has two chicks which are currently six weeks old. 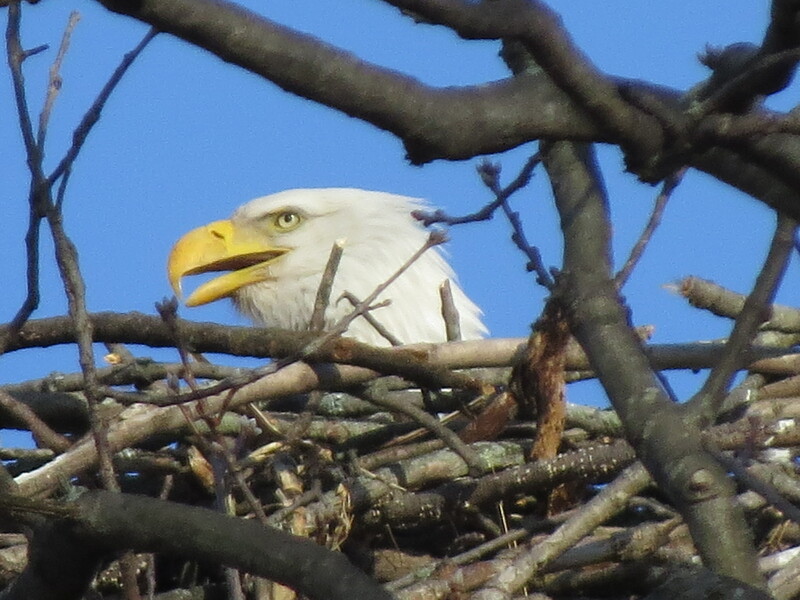 Jeffrey took a photo of the nest on April 19, 2015. 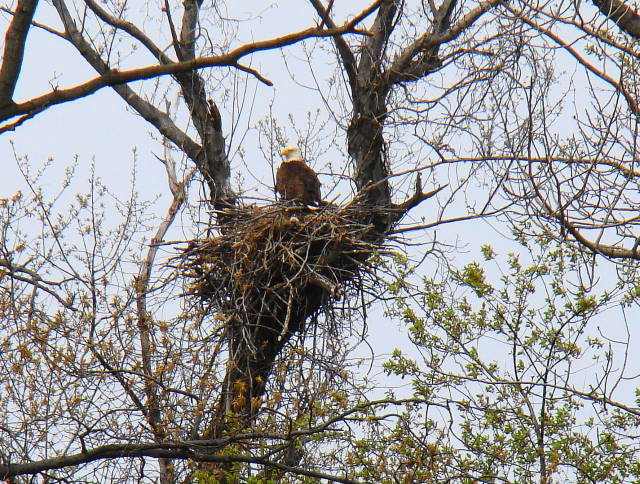 He then went back through his photos and found one that he taken on the same date April 19, 2009 in their first nesting season. This comparison really shows just how large eagle nests can get after years of use. Back in June of 2014, I wrote a blog when Conserve Wildlife Foundation was contacted by Linda Oughton regarding a New Jersey banded bird nesting in Montgomery County, Pennsylvania. The female referred to as “Jersey Girl” recently made the news in The Reporter. One correction, the article states that B/64 is from Northern New Jersey, she was actually banded in southern New Jersey, Cumberland County in 2004. 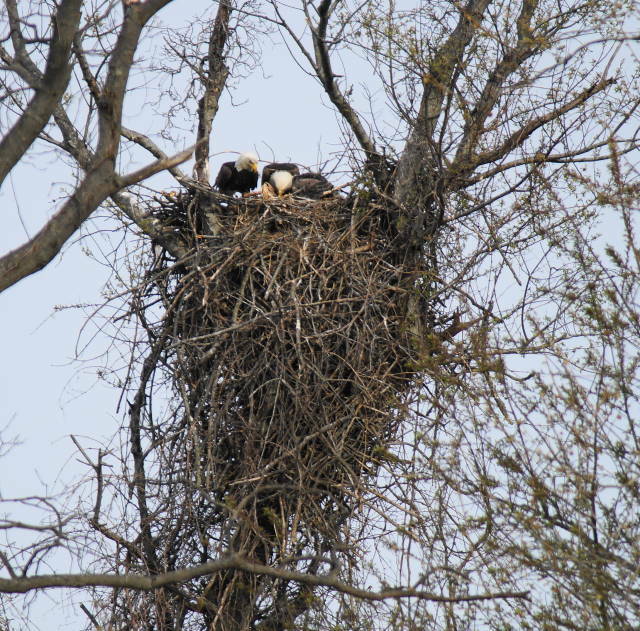 The Pennsylvania pair started incubating on February 14th, 2015 and hatching occurred the weekend of March 21st, 2015. It has been confirmed that the pair has two chicks this season.